ranchwood™, the distinctive choice for rustic wood, is the product of choice for owners desiring the weathered appearance of reclaimed barnwood at a price they can afford. Owners appreciate the various color, texture, and profile selections available. 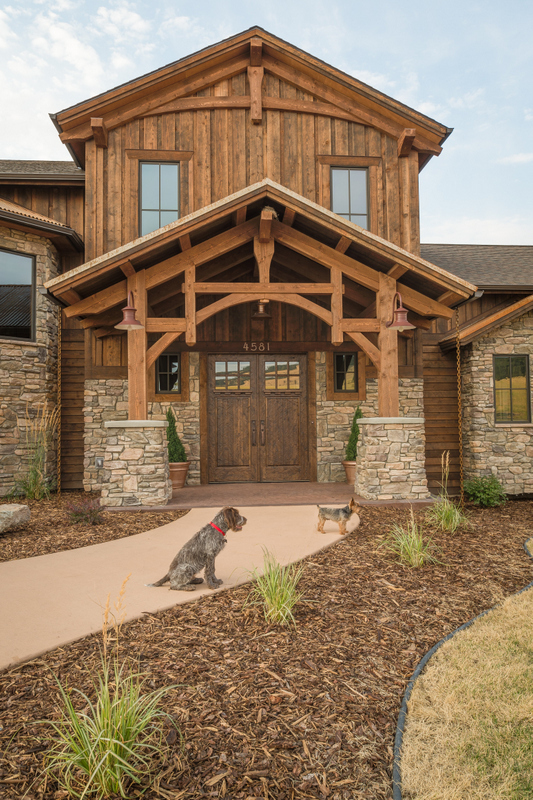 These options, in addition to a clear cost structure and the prefinished aspects of ranchwood™ are a few of the many reasons why our customers appreciate how our products accentuate the exterior or interior of their home, barn, or commercial building. Benefits of ranchwood™ include the prefinished nature of the product, a kiln dried and stable full dimension rough cut Douglas Fir substrate, that makes ranchwood™ a product that’s easier to install. ranchwood™ is manufactured in a variety of dimensions, profiles, and color selections, which provides owners with a large menu of options to choose from. Available in all dimensions, most owners choose from widths anywhere between 1”x2” and 1”x12” for their horizontal and vertical siding areas, and between 2”x2” and 2”x12” for their exterior trim selections. 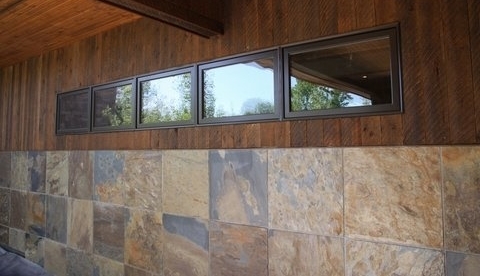 The horizontal and vertical siding selections are often designed with various profile options to distinguish from each other. The exterior trim selections are often offset with color or texture to accentuate from the siding selection. Constant widths allow for reduced installation and waist cost associated with reclaimed materials. 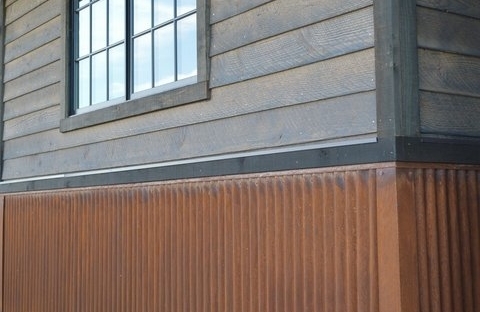 -Available in 12" shiplap with a 10 1/2" face. Available in mixed 8'-20' length. - Available in 8" shiplap with a 6 1/2" face. Manufactured from our kiln dried Douglas Fir, Ranchwood provides circle sawn, wire brushed, or hand scraped texture flooring options in 4”, 6” or 8” wide dimensions. Our flooring product, sold in random lengths 6’-12’, is unfinished and milled with a tongue and groove profile. It is shipped and designed to be finished on site upon installation.